2: Why a book-series about Moses? This introduction is sufficient orientation; by reading it in full this alone can be adequate. However, in some cases, e.g. studies, research, journalistic work, etc, more extensive orientation will be required; such elaborated information has thus been carried out and is presented below, divided into 7 main sections. In a modern society under rapid change it is of vital importance that connections with the ancient cultures are maintained and appreciated, and that perception is expanded, so both today and in future we can use and further develop the surviving heritage of knowledge. The Bible, the worldwide basis of many religions and ecclesiastical lines is here at the beginning of the new millennium subject to increasing debate. Behind this, however, a knowledge exists based on a rich culture of the past, which cannot be neglected or lost - an immediate risk, because much of the ancient information preserved till present times has often been confused with myths. In the following the subjects presented are exponents for Ove von Spaeth's books and articles; they open up for - and document continuously - essential circumstances of the cultural heritage and an adhering spiritual resource, i.e. a so far often understated knowledge, but absolutely indispensable to our historical insight. In order to present the knowledge of the many diversified subjects the author has carried out his special project. Ove von Spaeth's research work on Moses went on for 25 years. Basically, the main features of the results could be read in some of his articles those many years before the entire project was published - but it proved worth waiting for. It is remarkable that his gradual discoveries within the individual subjects have surprised again and again, especially because many of the hitherto ideas, for instance about biblical circumstances, were accepted as facts but without actually having been thoroughly examined. Beneath the surface it was soon discovered that much - in fact revolutionarily much - proved to be entirely different. Therefore, an actual hypothesis was not made out for the project (exceptionally, however, for a few sub-subjects). The form of hypothesis is a practical theory of work, model, or intellectual experiment; sometimes it may be less scientifically sustainable as a serious basis for support or non-support for something predetermined because such a targeted agenda may reduce the objectivity (the risk of steering via expectations) and restrict the researcher's observations in other possible lines. In order to be able to give all-round information about the Zenith Project and give a just description of Ove von Spaeth's research work and its importance, a less conventional project structure was established. A typical disposition for dealing with an entire project at an elaborated level would be a summary with the following elements: formulation of problems, presentation of hypotheses, analysis based on sources, evaluation of sources, criteria for target and evaluation, conclusions and abstracts. However, these otherwise practical categories are not durable for the broad interdisciplinary form of examination of the project in question - also because the Zenith Project includes related projects comprised under the same concept. Nevertheless, all categories mentioned will be commented upon with no exception - and even further dealt with because the basis of the various subjects overlap and will be once more source analysed in the relevant sections. Because of the amazing amount of findings and discoveries and the better possibilities of perspectives caused by the unusually long period of research, a consistent, logical image appeared from this material. It can be additionally tested by future researchers and thus further elaborated. However, the fact that the vast material has been dug out at all - and established in a genuine coherence - is most important. This mine of new and "lively" material - in reality often controversial - caused no really free scope which again did not allow a planned long-term strategy, because each new disclosure eventually created new patterns. These conditions are also the reason that the disposition does not follow any general project description which is normally to be seen in academic coherences; the present purpose is different - also because the results are known already, thus making reflexive comments available together with the conclusive clues. As a form of a hypothesis was difficult to use in this case, the results did instead crystallize on their own terms along with the systematic elaboration of the analysis work, which ended up in so to speak creating the project from the inside out. According to the writer and researcher himself, Ove von Spaeth: "… The important rotation point of the project's idea is that its results are presented in the optimum way so it can be read also without that any specific qualifications are necessary by the audience. ..."
In the following the Zenith IC Project can be accessed in its greater entirety and in the specifics. Although we do not in general reflect on the experience that on a daily basis we draw from a special kind of wealth, we all profit by the fact that our modern society is firmly rooted in past high-level cultures. A special knowledge and wisdom found in Greece, Rome, and later the Renaissance, however, originate from the cultural source of Ancient Egypt. Egypt was also the domicile of Moses. His life was extremely dramatic; however, as the leading and active figure, his person contributed to the development of many elements which even today influence western culture - i.e. the modern world. Therefore, he is an inevitable present figure. Through his interdisciplinary authorship Ove von Spaeth has opened up for an otherwise neglected, often forgotten knowledge about our past historical basis. Also in order to understand such foundation of our own culture, this research and the consequent results are important. Without his necessary research on innumerable sources and often ignored findings we, today, would frequently lose major connections to information in the past. Today Moses is Claimed to be Non-Existent, Next Trend will be ...? At the beginning of our new millennium we knew in fact more about the surface of the Moon than about Moses, the early pioneer in our own history, in the tradition of which we all live our everyday lives. Content with the little they believed to know about him, most researchers in general had terminated their research on Moses. Mutual present-time ideas about him developed into an agreement that he had not existed. Consensus ideas may be a practical starting point, however, group adoptions and opinions are not facts per se. In reality, almost nothing exact about Moses was known. Not until now! Due to their denial and frequent rejection of many important elements of the past, the researchers in question do not notice what is really seen to be in existence. In his 5 volume work, "Assassinating Moses", Ove von Spaeth, however, presents results from his own research on the dramatic fate, mystery, and not least influence of the historical Moses. The material here is both very surprising and especially provides new, determining knowledge about an essential part of our own background and shows connecting lines all the way back to the Egypt of Moses, the cultural and spiritual focal point of the past. Our knowledge of the past is much more abundant and also even more accessible than normally anticipated, and many concrete historical data about what we frequently call myths are available in many of the world's libraries and museums - often not studied or unknown dust traps, however. While working on his conspicuous, historical research project the writer often had to cross traditional demarcations and simultaneously carry out in the old-fashioned systematic and analytic way a thorough examination of all details, not least neglected and unnoticed sources. :: More about Results and Dissemination: - shortly after the publication of the first volume of the series on Moses, the Danish Ministry of Foreign Affairs recommended the books for use in the Ministry's schools, where Egypt's history is a subject for development aid experts. Already from this beginning the National and University Library of Israel ordered the books. Also comprehensive translation into English is initiated. Since the start in 1999 when the book-series on Moses was presented on these books' own website, there has been fabulous attention and interest from all over the world - mails, debates, references, and discussion groups - in spite of the fact that for several years the books were not yet issued in English. Many of the most important research libraries all over the world have copies of the paper - from the Centaurus Magazine - of the special edition of Ove von Spaeth's treatise on the world's oldest star map, which as an extra value became important for the dating of Moses. Series of lectures and weekend courses should be mentioned as different, independent initiatives founded on the book-series about the historical Moses; series of lectures, and weekend classes, and special Moses trips to Egypt are arranged - based on these books. Similarly, other arrangements take place in study groups of freemasons and theosophists; they have the books about Moses in all their own libraries. 2) the project also comprises the dissemination of knowledge of the valuable findings and special recognition as presented in the writer's texts and his demonstration of important mutual relations - as well as data from the disclosure now placed and preserved in the substantial cohesion. Supplemental Activities: - many results of Ove von Spaeth's research are presented in numerous articles; these results were achieved through many years' of absorption in many subjects such as archaeology, Egyptian tradition, religion, ancient languages, the Rabbinical Writings, anthropology, mystery cults, and cosmology. From ancient astronomy history and star knowledge he has discovered hitherto unknown information about the world's oldest star map. Moses was an Egyptian - Not a Hebrew! The new effort represented by the current project has resulted in a disclosure of a much more varied picture of the past: - Moses is now brought into the light as an exact historical figure and is to a wide extent identified by his Egyptian basis. This background leads forward to the natural answer to many previous enigmas. Here is the starting point for an exciting and amazing journey into history. Ove von Spaeth's thoroughly analysing work brings Moses back into the factual history - in a well-documented, precise determination of his time, based on interdisciplinary research in ancient cultural history, religions, languages, and sciences. The still existing concrete references in the Rabbinical Writings and the Egyptians' records about Moses originally as an Egyptian and heir to the throne, have by their now verified data dissolved the later produced idea of making him a myth. Never before have there been so many universities and researchers as in this century, and from all sides so many new treatises have been published that a single one can easily remain unnoticed. Expeditions in knowledge are not easy today where so much more knowledge than ever before is available - truly a jungle bound to lead one astray. Even the very professionals must sharpen their attention; but the most important is that access to the said knowledge on the historical Moses exists at all - at this moment! Each year adds to the difficulties in finding and protecting much of the old material. It is of inestimable importance that the writer's discovering work was done in time. In addition to presentation of a natural amount of relevant counter reflections one of the productive methods was here to let facts and indications introduce themselves not letting the texts be dominated by one long continued discussion on the predecessors' considerations. Older discoveries as well as the newest are assessed in the broader context. Inspiration for other authors' books and treatises: Ove von Spaeth has made his book's historical material especially accessible to be read without specific beforehand knowledge on the subjects. Von Spaeth's presented results in the books have waked a considerable interest also among other authors - their texts showing serious professional interest and in many cases even directly inspiration and reproduction. Specific circumstances in Egypt's 18th Dynasty - expressed in biblical texts and the Rabbinical Writings, but recognized only by present historical research - prove that the ancient texts in question cannot possibly be of a later date or for instance constructed by Jewish learned scribes and priests. The substance of the information from these old texts often proves correct and logically concurrent also with modern Egyptological knowledge. The writer's publications of his characteristic, transverse historical research and the important discoveries are currently borne along with a disclosing documentation. His books and texts contain many unique insights which could not possibly have been presented at an earlier stage. According to Hans Baron Anckarstjerna, Historian, Editor-in-Chief, DJF: "... Regarding Ove von Spaeth's book-series about the historical Moses and Egypt: it comprises 25 years of concentrated research and the results - released through 5 unique works and in addition a special dissertation, a pioneering work on dating the world's oldest star map (Egyptian). In all, it is the most ambitious undertaking of research in the genre of religious-cultural and historical studies... it is also the most comprehensive interdisciplinary science project in this field carried out by a single individual. ...". Why a Book-series about Moses? Why Moses of all people? In antiquity Moses was perceived as a multi-talented person. He was a prophet and a legislator. But he was also a general, a philosopher, a learned in stars, and a mystic. And not least he is known for having initiated a special religious legislation, which was later both the basis and the inspiration for many world religions, where he is still considered a leading figure. For the first time ever a huge material from ancient sources about Moses' unusual life has been accumulated in one place. This was done by Ove von Spaeth's research, now published in his five unique books containing historically displaced parts of Moses' dramatic fate and somewhat hidden background. Many mysterious circumstances from important ancient documents are clarified through an unusual research effort at an international level. This is no less than a pioneer work. The writer's comprehensive research of Moses involved contact with innumerable texts from many eras and has contributed to the quite unique bibliographic collection (cf. also section 7, below) - a must for all libraries. The presentation is not based on single sources and isolated decisions, but on presentation of a huge number of indications; they can be considered an offer - for further research. Despite the fact that all major, well-reputed encyclopaedias and works of reference contain ample material on Moses, important parts are missing, e.g. from ancient writers and Rabbinical Writings. This is why this book-series is created as the very necessary expedition into the background of Moses. The books also lead to an exciting knowledge of modern archaeology, chronology research, and astronomy-related dating, and the presented results place our hitherto knowledge of the related historical events in a challenging new focus. According to specialists the book-series "Assassinating Moses" breaks new ground. These books shed light on Moses' three life phases. Important Egyptian features behind the Moses tradition are traced, and new surprising discoveries disclose more about Moses' continued influence on cultural history - from the troubled Middle East of the past until today. One of the most important results: it is exactly documented that a special episode can be seen in many ancient cultures and is related to royal children - it is by the present author termed "the ritual of the royal son", and Egyptian inscriptions show that the episodes were concrete - and can also be related to Moses. 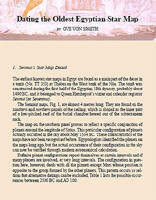 More results: based on astronomical statements in the Rabbinical Writings and the oldest parts of the Bible, the writer points out the fact that the episode of the Moses infant being launched on the river, and the beginning of the exodus from Egypt, as well as the conquest of Jericho - now finally can be dated exactly. Also, it is finally stated that the hitherto perception of the biblical narrative about the Israelites' killing of the first-born children in Egypt, is proved wrong. The Hebrew Bible and tradition show exactly that children were never involved, but that this event seems merely a strategy to limit homicides to apply to leaders only, because the first-born was the head of the family. Especially it is shown by Ove von Spaeth that the Bible, although being the most well-researched book in the world, has never been submitted to a veritable military strategy historical-analysis concerning if it was realistically possible at all to carry out the Israelite exodus from Egypt. Thus, it was important progress that he, at Denmark's Academy of Defence, consulted an expert in military strategy history, Cand.Phil., Michael H. Clemmesen, Brigade General,. The outcome proves that very much information (and correcting the wrongly translated number of the Israelites) about this in the ancient texts contains a high degree of reliability. :: Background Knowledge: - today, Moses is often perceived as a myth, or his historical existence is rejected. Original narratives about Moses were dispersed at an early time - some parts became the Torah (the books of Pentateuch) and their parts were gathered in the Rabbis' oldest "Talmud" writings. They show about the unknown life of Moses in Egypt that he was a highly educated Egyptian crown prince. He created a timeless legislation; his other revolutionizing new creations seem later to be ignored. Moses' Legislation: - contains surprisingly modern principles, e.g. legislation on environment, social matters, human rights, asylum matters, rescheduling of debts, animal protection, hygiene regulations, and military ethics. Moses is the first known initiator of religion. An important order was "Thou shalt love thy neighbour". Later, when Jesus used Moses' biblical texts, this order had a great significance on Christianity. Progress and Inventions: - Moses is the originator of important commands - self-evident and necessary for us: a legislative order to call witnesses in trials; to use the alphabet instead of pictography; compulsory education for children; and a division of time into 7-day-weeks; and a mandatory weekly day off as "a human right"; today - 3,500 years later - all these are still part of our daily life. At present it is hardly known that Moses is related to the invention of the alphabet. This, however, is stated by many ancient writers as well as the Rabbinical Writings. 1. In general research is done as if Moses is only known in the biblical version. By and large all Egyptian, Greek, Roman, Indian, and Arab traditions and relevant statements from the oldest church fathers are neglected. 2. The oldest parts of the Rabbinical Writings are as old as the oldest parts of the biblical Moses texts. 3. In theology and history studies the Rabbinical Writings' preserved statements about Moses are only very rarely studied - and are disregarded as "colourful stories". 4. "The Egyptian factor" is considered only to a minor degree in the attempts to understand the many claimed discrepancies of the Moses texts. 5. Ritual mystery plays, the practice of which may almost be considered inaccessible today, should be considered as something of vital importance and extremely significant in daily life of the past and in the understanding of that way of life. The plays contain many valuable, anthropologic data, which can lead to an understanding of these historical subjects. Anthropologists were among the first to scientifically expand the view on the contents of the ancient biblical texts, while theological and linguistic researchers often were lead astray, for instance via the entirely unfounded idea that late corrections in the Bible date the main texts to stem from the time of these later interventions. Reconsidering of repressed sources is required in order to see the relation between real historical facts from antiquity and Moses. However, in order to achieve a more exact dating of the birth of Moses, research tests of ancient astronomical information have never been done (before now). Within some of the involved branches of research, the used working method is often in advance to consider nothing in the old narratives to be true, until it has been proved. This is an excellent precautionary measure, but was never the main objective of research. This filter allows no research risk but may easily lead research work to participate only in acknowledgement of the already acknowledged. Therefore, informative, historical data hidden in ancient traditional accounts of the Rabbinical Writings or "myths" may be paid no attention. On the contrary - as a commencement the project therefore deals without bias with narratives from the times and areas in question thus considering them as relatively true, as long as they have not been counter-proved or may appear absurd - all, of course, on a basis of assessing the origin and chronology of the presented sources. Naturally, such starting point only in a successful and recognized practice was especially used by the greatest biblical archaeological authorities, e.g. W.F. Albright, Cyrus Gordon, and Yigael Yadin. Five books on Moses and his history have never before been written - not even a 2-volume work about Moses has existed. Ove von Spaeth's impressive search and archive studies of both biblical and non-biblical sources make up a picture of a historical figure living and acting under circumstances with main features concretely and historically recognizable. For a very long time in future many areas of interest and research will harvest informative data from this living and fresh fountain of knowledge. The writer's intensive research has required more than 25 years of study with research and testing of material and results leading to a re-evaluation of Moses' status and time. Each book contains fine, informative thrills - step by step increasing understanding. Many experts of the most recent research have characterized the books as the best documented disclosure and solution of the enigma of Moses. According to Rune Engelbreth Larsen, Writer, M.A. in History of Ideas, & in History of Religion, "... A cultural-historical Odyssey. Ove von Spaeth goes over the numerous, historical threads with a fine-toothed comb and 'old-fashioned' spirit of research. ... The Project with its convincing depth and the elementary exciting communication are carried through creating an epoch-making landmark - and with innumerable subtleties; - a polymathic tour de force that deserves a comprehensive readership of careful readers and which definitely can and should serve as a source of inspiration many generations ahead. 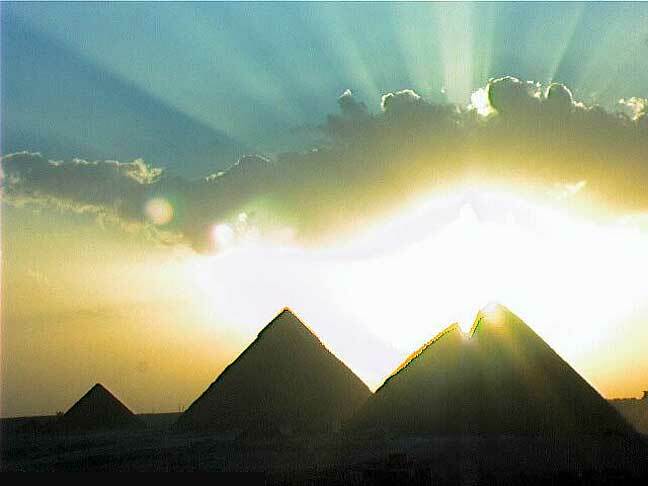 ..."
So far it has been a difficult problem exactly to establish decisive years in possibly the most important historical period of Egypt. i.e. the 18th Dynasty during 1500-1300 BC. At an early stage this fact caused an erroneous dating of for instance the historical pioneer figure Moses, which consequently caused many scholars to conclude that he had not existed. Often their factually imperfect chronology was to some extent based only on weak fragments of the calendars of Ancient Egypt. Now it is more obvious that ancient Egyptian astronomic knowledge was surprisingly more substantial than anticipated. The world's oldest known star map decorates the ceiling of the tomb of the vizier Senmut (Senenmut) at Luxor (Thebes) - and Ove von Spaeth's analysis presents data disclosing a so far unknown level of astronomy in Egypt 3,500 years ago. In his books Ove von Spaeth has also documented an exact dating of Moses - a chronology supported by the information of time, which we are now able to interpret from the star map. Queen/Pharaoh Hatshepsut's vizier, during the country's 18th Dynasty, and the decoded material can be objectively tested through modern, astronomical computing. On this basis it became clear that the Senmut map does not present an incidental collection of planets or a copied pattern from possible predecessors. Actually, the map - which was only expected to show a star mythological arrangement - discloses in detail an exact picture of a special accumulation of planets in a defined part of the sky. In itself this establishes information about a specific time. 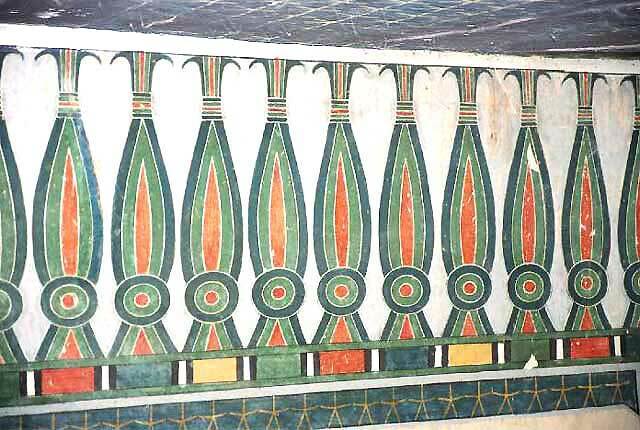 Special Elements and Patterns: - in connection with his discovery on the star map Ove von Spaeth has also verified similar characteristic features in other Egyptian star maps of the following centuries. 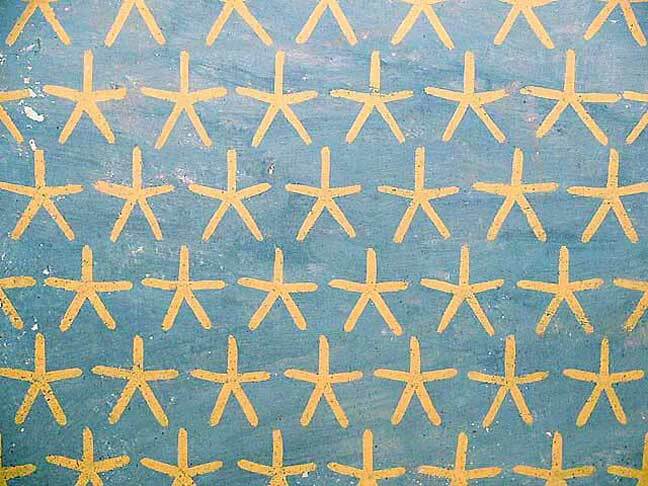 There seems to have been a now forgotten tradition, as these younger star maps are only seen to be produced/established in the reigns of those certain pharaohs (e.g. 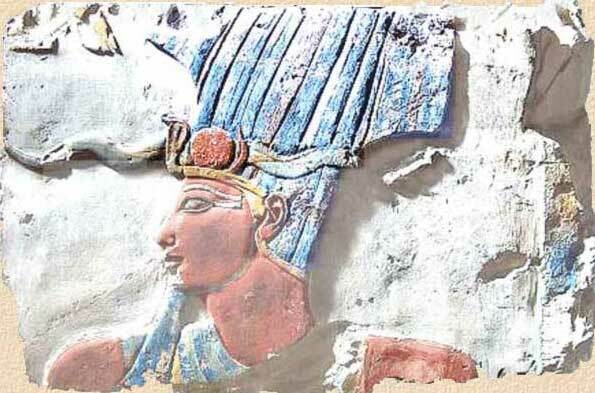 Ramses II) where analogue arrangements of this conjunction type actually appeared in the sky in the past. Result and Unambiguity: - the main form of the graphic arrangement of the planets on the Senmut map appears to be created in and with his idolized, but unambiguous picture of a certain configuration of planets in a certain part of the sky. More indications: Mars retrogrades (a backwards movement) to the west, which in relation to the special form of arrangement of planets as at the time of Senmut, would appear only rarely. Besides being a star map, the map projects an exact event in the sky. In addition, this is the finding of the earliest exact report of a rare celestial phenomenon - and thus the oldest astronomic-scientific "report". On the basis of these results of Ove von Spaeth's research, his discovery was released as a treatise and published in the "Centaurus International Magazine on The History of Mathematics, Science, and Technology" (Vol. 42:3, 2000, pp. 159-179), the distinguished scientific magazine. In this treatise, Ove von Spaeth thus introduced the astronomical method he formerly had developed (and pre-published) in 1984 - in order to achieve an exact dating of Senmut's star map. In fact, the treatise opens up for a new-orientation on the often disputed chronology of the epoch in question which can now provide the era with a necessary precision. Many scientific branches had to be taken into account in Ove von Spaeth's project - especially astronomy and Egyptology (www.moses-egypt.net/star-map/senmut-files_survey_en.asp). In addition to the original, international publication about Senmut's star map in the "Centaurus", a special edition of the treatise with a FAQ list attached is also accessible all over the world in many important, scientific institutional libraries. The publication has paved the way for a broad debate, recognition, protests, informative inquiries, and a great interest in the recently found elements. - D.I. Loizos, Professor in History, Editor-in Chief, "Anistoriton History, Archaeology, & ArtHistory Journal": "... On the basis of the treatise's research presented, the study concludes that this can be demonstrated, as follows: - 1) The Senmut maps contain a cosmological and astro-mythological expression not only as decoration - as hitherto assumed - but also as a picture of a particular and unique situation in the sky. - 2) This configuration of the sky can be exactly dated: 1534 BC. ..."
Indications found in the Senmut map establish that cohesion between a real celestial conjunction and a reproduction of such a planet pattern was intentional. Unambiguous: apparently the basic form of the graphic arrangement of the planets of the Senmut map was created with the idealized and yet unambiguous depiction of a certain configuration of planets in a defined celestial sector. Identification requires no more. An extra identification is if an extra factor is approved: namely a retrograde Mars (the 'backward' movement) - which was very rare, however, visible at the time of Senmut as a special form of arrangement of the planets. The map as a model: in addition, it can be seen that later on in Egypt the principle of the basic planet pattern of the map was setting standards for such astronomical images. Many maps are in certain respects almost identical copies of Senmut's model map. When similar conjunctions occurred, for instance during the reign of other pharaohs, e.g. 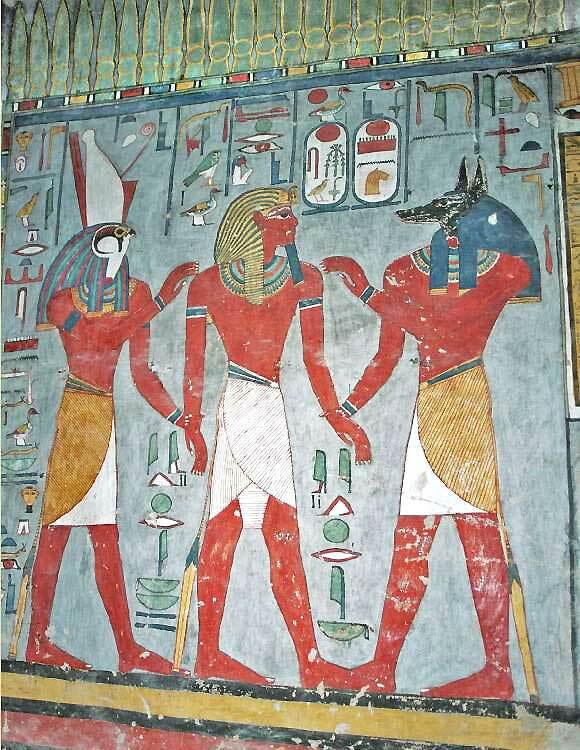 Amenhotep III, Seti I, and Ramses II, they also had them depicted. The exceptional star map of the vizier Senmut who was also the calendar manager of Egypt, is the very first precisely known individual scientific conquest, for instance the exact celestial division with divisional relations for positions of stars and planets. As a fringe benefit the star map can also contribute to an improved dating of its originator and the contemporary pharaohs - at least within specific decades. These results are further confirmed because the use of this proto-type for star maps in Egypt also made out that such later reproductions were 'messengers' about unambiguous points of time. Besides identifying year and month, even a certain day can be identified from the Senmut map, if a marked solar eclipse is accepted as an additional indicator. In other connections the map dating also contributes to the first astronomical establishing of an exact time of Moses. This is a consequence of the fact that, for the first time, research includes information about astronomical data from the time of Moses - presented through ancient Rabbis. Before, during, and after the work with the books on Moses, a vast number of Ove von Spaeth's historical articles have been published; they scrutinize the many culture historical lines with exemplary meticulousness and the "old-fashioned" research spirit. Drawing from a great number of research fields the writer has in his texts opened for new angles and insights on celestial and religious subjects, initiation mysteries behind history, and the form of spirituality in early science and architecture - all presented with fascinating and detailed references. :: Independence: - the writer has independently carried out his own ongoing, thorough studies of ancient architecture, history, and astronomy. He is especially fascinated by the often impressive ancient science (for instance, the 2,200 year old archaeological finding from Antikythera, a sophisticated Greek bronze toothed wheel calculator with gear shifts meant for computing of lunar eclipses, planet orbits - and even elliptic lunar orbits!). Propagation of Access: - his texts are rooted especially in allowing a broad access to important and, by the way, often tangibly exciting information about our historical heritage; a vitalization letting us simultaneously feel how relevant and meaningful this knowledge is also today. Important parts of the knowledge are now also accessible through the author's e-books. A characteristic media description of the writer is that he has "a polyhistoric background from where he presents informative investigations of many essential biblical, Egyptian, Indian, and Greek historical circumstances and events - and he makes them relevant!" According to Claus Houlberg, architect cand.arch., writer, astrology historian, and exam. psychotherapist: "... a fantastic online library of relatively short and deeply serious e-books available by free download. It consists of works by author, astrologer, and historian Ove von Spaeth, and they can all be downloaded here: http://www.moses-egypt.net/zenith-files_en/e-books_group 1_en.asp . This is a treasure trove of collected knowledge also about astrology and history. ..."
Ove von Spaeth's presentation of valuable and often neglected materials - often left behind by conventional research - makes this material a challenging factor by its very existence. The profusion of the material results in a critical mass with the effect of a comprising and strong confrontation against common, habitually based theories. All this resulted in an open clinch with ruling schools in these fields, e.g. the theologers. According to the writer, the "two cultures" of the present - i.e. the spiritual and the physical sciences - after their separation introduced during the Age of Enlightenment as a necessity for the later modern development - now have to get into interaction again and into redefinition on the basis of the new knowledge of human beings. ... at all times von Spaeth will find his supporters among psychologically and philosophically orientated cultural historians. "The Egyptian factor" as von Spaeth calls it - as being also a fundamental element in living Christianity - would have been acceptable to different history authors such as Oswald Spengler and Egon Friedell. And the close relation between Christianity and Buddhism - it is this relation Wagner deals with in "Parsifal". Obviously, Carl G. Jung would have taken von Spaeth's side. - In today's England a man like Colin Wilson would not feel alienated to von Spaeth's ideas. 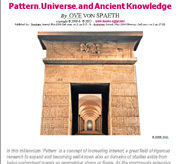 ..."
The portal, the ZENITH-files, is a net base containing articles with Ove von Spaeth's texts especially about the ancient knowledge treasure now as a rediscovered, reflected and renewed asset for the beginning of the new millennium. His texts place an interdisciplinary focus on ancient wisdom learnings, star knowledge related culture, and secrets of the universe. In these fields it is important to obtain a more complete survey and easy accessibility - therefore, the Zenith-files net portal presents a collection of so far more than 60 articles by this internationally recognized, independent researcher (many of these texts are also in English). This is a presentation of knowledge of a most valuable part of ancient cultures resonating via the renaissance up till present times - fascinating information, and advanced knowledge and experience, not least from Egypt. A central background is opened up in our historical basis, presented as a well-documented superstructure to the more traditional research of ancient cultures - a vital, exciting acquaintance with an enlarged historical dimension. Distributing this knowledge, the multi-lingual Zenith Portal containing the author's articles and in particular e-books very soon became one of the Moses site's most visited pages with daily users in great numbers - continuously extended. Concerning the propagation of the many Ove von Spaeth articles the early days’ internet was immediately used as a main track for canalizing this knowledge to everybody also outside the world of universities. This was due to that this writer's research is based on being carried out interdisciplinary, unbiased - and in borderlands, not least between spiritual science and natural science. According to Erling Haagensen, Writer and Film Director, Member of Danish Film Directors: "... This (the borderlands between Humanities and spiritual studies) is an area presenting an insatiable demand for comparative and cross-border research. However, the area is a total desert in respect of established scientific researchers' investigations. Not only has Ove von Spaeth devoted his life to the research and communication of his discoveries in this field - he has also been able to handle the task to such a degree where his research is bound to result in occupying an important position in history. ..."
The Portal Address: www.moses-egypt.net/zenith-files_en/zenith-netbase_en.asp - and an alternative: www.ovs.thirax.dk - a special net portal containing the writer's articles. 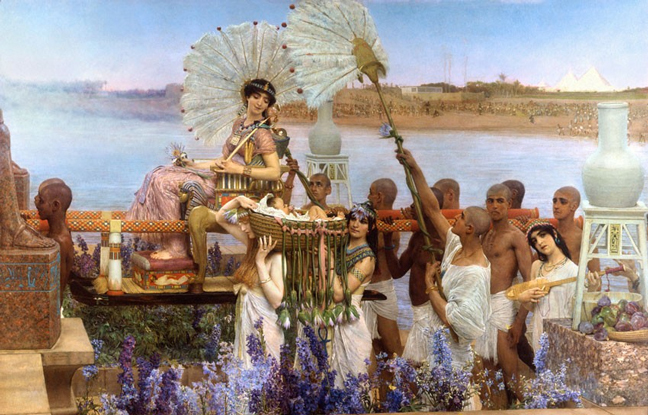 "The Finding of Moses", a romanticizing motif beautifully pictured in oil, 1904, by Sir Lawrence Alma-Tadema, the British-Dutch painter - a myth not historically correct about the Egyptian pharaonic daughter with Moses as the claimed Hebrew child found "coincidentally". A veritable challenge for the research project is a problem blocking the way for a better historical understanding of the relations between the Bible and ancient Egypt - it concerns the modern myths, so difficult to wipe out, appearing instead of exact historical knowledge. For example, the unfounded ideas saying that the Israelite Exodus took place as late as after Ramses II (mid-1100 BC) - or, alternatively, that it is nothing more than a myth! Another myth, also a hindrance for disclosure, is the erroneous idea about the Israelites as slaves when the Egyptians built the pyramids. The limited material and survey of the research 100 years ago have gradually been substituted by substantial text findings, archaeological materials and new, advanced investigation techniques. In the light of this, it may seem strange that many traditional research institutions frequently maintain their negative reactions to the results of the new insights. Often, it is wished that Moses should still be considered a myth - even despite new concrete knowledge clearly supporting the opposite. Many new data from connected scientific areas are also rejected, e.g. about an exact dating (cf. some simple examples in the text between the above illustrations). The core of the oldest narratives in the Bible as well as from other ancient cultures has often proved to be more genuinely historical rather than simply mysteries (although, of course not everything is plausible). On this background we may often trust historical details of the biblical texts rather than trendy biblical research theory, which may entirely neglect existing historical and valid material (e.g. "the David stone" found in 1993 in Tel Dan; or for instance the Tell El-Amarna letters found in 1887 mentioning the Hebrew invasion of Canaan). However, a number of researchers seem to neglect the existing material. Critical resistance to new theses as well as ancient, tested theses is important in order to activate our knowledge leading to an increased understanding. An actual unacknowledged problem is the fact that biblical text research had before 1900 established the ways of understanding, unfortunately long before correcting scientific archaeology was established and an analytical criticism of sources was developed and disseminated. At an early stage a special hypothesis was 'canonized', i.e. the so-called "documentary" theory, which is not any longer accepted in its previous forms, but was used at least through a century. Almost from the beginning the hypothesis was linked to undocumented claims that the Bible was invented by creative Jewish priests in ca. 300 BC. Although the hypothesis has never been proved, many relating hypotheses were created through time, e.g. about "Moses as a myth"; although with no historical support whatsoever, these hypotheses were gradually surrounded by a wall of supporting commentary literature. To accept the idea that Moses - the most conspicuous personality of the Old Testament and one of the most fundamental features of Jewish self-understanding - was a completely fictive figure, would make the origin of the very Mosaic religion and the entire ancient tradition an amazing mystery. Thus, later generations of researchers are confronted with a continuous up-generated system of comments concerning the original basis of this very imperfect argumentation. In this way they are frequently given the impression that also many new hypotheses with lines from the previous, dubious background are to be considered a kind of authoritative "truth". Many times during the Moses series project the writer faced the necessity of going all the way back to sources containing immediate knowledge about findings and discoveries, e.g. excavation reports and notes about how the relevant research results were produced. This procedure proved to be of decisive importance instead of only taking the later and further enlarged versions of references for granted. Collected in Ove von Spaeth's books is a substantial amount of existing, historical sources about Moses - in reality dispersed sources. For the first time the majority of these are shown relating to modern archaeology and astronomical dating. The considerable and relevant material about Moses makes it irrelevant to see him as a mysterious figure - on the contrary it appears that historical and biblical information about Moses as a concrete person is thoroughly supported. It should be mentioned that as an extra challenge - somewhat unexpectedly - the work's presentation of the ancient material in this broad coherence has - besides the normally adhered counter-argumentational - sometimes caused an extreme, direct counteraction from certain university circles trying to create public disapproval because a number of real authorities from different areas - also international ones - had granted the writer their professional assistance and evaluation. This sequence gave the writer an interesting experience and confirmed the value of the initially provided extraordinarily heavy documentation of the project - the necessary project. The writer's disclosure of Moses' Egyptian background elaborates the historical concept to the effect that along with other historical events, a number of so-called magic and spiritual relations connected with religion, royalty, military, etc, are also documented. It is only possible to understand Moses' background and the culture of Egypt if much more attention is paid to these elements also belonging to history. The books point to the mystery plays of ancient Egypt, i.e. "Freemasonic-like ceremonial, and ritual healing, magic, astrology, as well as special aspects of religious royal power, also for instance historical inscriptions about the use of magic by the ancient kings and generals; in addition the oracles, divine conception, star-knowledge mythology, and cosmology. Thus it can be observed that these sublime impressions of a culture with a special spirit expressed in spiritual architecture and art surpass almost everything of any known civilization. Now, many thousand years later, we are still moved when we meet it. Source Critics: - At an early stage it was a challenge to the project to disclose the degree of validity of materials of which, thereafter, many could not be used because some writers of research works do not seem able to demonstrate source criticism - and their results may contain many factual errors. Although many sources of the working materials are publicly accessible and for instance can be found free of charge on the internet, they are frequently sought after in publicized results. For instance, this may camouflage the fact that on the subject of the Israelite Exodus most researchers as a matter of course operate with fictive dating with absolutely no sources and documentation in existence - nevertheless on the basis of this illusionary foundation they claim to prove that the Exodus never took place. Conformity: - Regarding circulation of results - another challenge can often be seen as the conformity sometimes influencing groups of researchers, among whom deviations from consensus are seriously punished by automatic bias in certain professional spheres. Many independent researchers have the mutual experience in many cases of exposure with less "popular" results meticulously repeated in collegiate media, which consider it unnecessary to get acquainted with the matter and have no ambition to obtain an adequate, detailed description. In this way conformity is safe-guarded. Isolation: - Another challenge of the project work is the fact that contrary to, for instance, the exact sciences (e.g. mathematics, astronomy), in which interdisciplinary cooperation is normal procedure, this is hitherto not so usual within the humanities (e.g. theology, Egyptology), where some researchers may be isolated from other environments and lines other than those based on their own understanding. This may often explain tendencies towards narrow-mindedness and lack of knowledge of sources being debated in other forums - information that the researchers in question cannot or will not deal with if it should appear. However, a supplement by the new research may help remedy this and open up. Of course the present Moses project is not 'authoritatively' above criticism - neither is its purpose to criticize; on the contrary the task of the challenges mentioned is to introduce the results of the project and the valuable materials as incitements to necessary new breaks in the field of research. This is not a case of dissolving, but of supplementing. The aim of the project was never to be polemic or rebellious towards previous research, which has accomplished many impressive tasks through hard work and ingenuity; on the contrary the aim includes also learning from the above-mentioned disastrous research exercises which in fact can only block progress. Instead the results of the project's independent research in new areas can contribute to and supplement the already established knowledge. 1. - when research relies so much on consensus - not unusual for 40-50 percent as a basis - the consensus is easily considered a kind of "truth" but is actually a starting position with some illusory value. The problem is that in many cases there may be almost nothing useful to start with, a hitherto 'agreement' of an assumption is then used - but it must not be confused with the real world. 2. - when for some time research have used a somewhat helpful theory it happens thus that the people involved now begin to consider this provisional working model to be a concrete reality, and then they even defend and protect it blindly when something new comes up, instead of being open for the oppurtunity on testing (not "warfaring") the new against the previous assumptions. These risks are well-known as a problem which very many projects - including Zenith IC Project - hardly can avoid being confronted with during the work of research. However, the Zenith IC Project continues being aware of dealing with it. Examples of the historical, displaced information in question: in texts connected to the Bible - i.e. the old Rabbinical Writings and those of ancient learned men - it is concretely mentioned that Moses was the son of the daughter of Pharaoh. Many indications show that with his high initiation and Egyptian education Moses brought several religious features and "secrets" out of Egypt when he was in command of the Israelitic exodus. Three times in history attempts were made to destroy Moses, so "The Assassination of Moses" is the title of series of Ove von Spaeth's books about Moses: 1) - The first time was by the Egyptians, who ousted him as a candidate to the throne and simultaneously removed his name(s) and other reminders about him in order to make him "non-existent". 2) - Later by the clerical bible editors, e.g. Ezra in ca. 350 BC, who reduced the Egyptian background and status of Moses. 3) - Presently, by many schools of theology rejecting the historical existence of Moses and describing him as an artificially invented and mysterious figure. The re-evaluation of the identity of Moses, his background, fate, and the mystery surrounding him, presents this ancient personality as the one who created - and in fact was the personified representation of - the demarcation between our history and prehistory; thus, a completely new orientation as a supplement to traditional research, itself also inevitably on the road to transformation. Advanced ideas in the ancient knowledge will inspire a higher level knowledge and perception of the world, so that cosmological insight will again be generally included. Now the time is about being ready for some hidden features behind the heritage from Moses to be disclosed - several enigmas are to be solved. According to L. Steen Larsen, Ph.D. in History of Religions, Associate Professor at the University of Lund, Sweden, - Department of History and Anthropology of Religions: "... The project description presenting the structure and goals of the entire huge project I find extremely successful, - elements and arguments refreshingly clearly presented, in fact the points are very concretely defined. As regards stylistic and structural implementing it is absolutely among some of the very best textual works Ove von Spaeth has produced. On the whole well written, a great appetizer so I got the urge to read more of his texts. ...". Moses * Egypt * Spaeth - is the title brand of the website of the book-series "Assassinating Moses" about the re-evaluation of the mystery of Moses - a non-commercial, polyglot website on which Ove von Spaeth presents an epoch-making historical project with a special archive containing more than 160 pages of information and documentation established on the basis of the writer's research and texts, especially the five-volume series about the historical Moses, as well as the treatise about exact dating of the world's oldest star map from Egypt. From the beginning it was considered more important than ever that the book-series about the historical, re-evaluated Moses, and the project behind this, are presented as being of current interest and on an easily accessible and continuously up-dated website. Thus, the website of the book-series on Moses contains introductory abstracts on the versatile contents of the work as well as the individual forewords of each book written by researchers and scientific experts. The website also presents (in English) three complete chapters of volume 1. Moreover, the website contains a special on-line library of all the author's e-books. All this opens up for a very comprehensive archive with all important book reviews and literature features, debates, letters from the readers, recommendations, protests, questions in the media and international reviews and statements; and also briefings on the work's creator, editor, and writer Ove von Spaeth. Now, a piece of controversial research history is made open to the future. Each volume of the Moses-series contains an appendix with an extraordinarily comprehensive bibliography with 120 years of scientific literature about Moses - and on Egyptian astronomy - as well as about Egyptology, research of biblical texts, religion history, archaeology, anthropology, and chronology. Many thousands of titles of books and articles all of which will further document the information in the works of the Moses-series, now unequalled worldwide, collected from numerous international libraries during the 1970's-1990's, when it was more easily done. A detailed table of contents of the collection is established, and the complete collection is also thoroughly specified in subject areas, thus more helpful to searching and verification. A concept like the website on the Moses series has not been seen previously on projects concerning books or research. All interested readers can dig deep, for instance when analysing reactions/phenomena pertaining to the books' "launching" of a more original Moses in a historical coherence, now re-established by means of fragmented 3,400 year-old sources. A website presenting a comprehensive overview via an archive had to be established quickly, i.e. www.moses-egypt.net, as press and media published hundreds of book reviews, references, and debates already during the first couple of years after the initial publication of the series. Considerable international attention arose in particular when Ove von Spaeth published his treatise on the Egyptian star map (also added in volume 2 of the series). All sequences of the publication and spreading of the information are documented and elaborated on in the text archive of the website - ideal for particular studies, e.g. concerning media and readers' feed-back as well as literature history, and the writer's reply to scientific questions. Librarians and students can find special book reviews and related texts on the website - in many cases not retrievable or present elsewhere in newspaper Internet archives. The Moses-series own website, www.moses-egypt.net, was established in November, 1999 - a success in its own right in the world of books. At an early stage this site gained an exclusive status on the Net - not least the amount of factual research information on the site has created an interest together with the information also provided via reviewers, frequently professionals. In addition to the level of contents, the website is within two special categories - the graphic design (by the author) is acknowledged for an expressed historical-esthetical flair and superb layout in relation to the website's extensivness - and for the carefully prepared technical functionality (by MacroSystem Internet). ... From every side it is heard that this web-site and web-archives of the book-series on Moses - already known to have created history on the stage of books in our part of the world - is one of the Internet's top important sites, especially as regarding new orientation on ancient history and on history of religions. ..."
The presented articles and books were made possible by the support of readers like you ! • This project for free scientific, historical research and information is supported by donations. The kind support from interested people creates the necessary possibility for financing the ongoing task. OvS's independent, new-orientating work is an appreciated supplement to traditional studies with their natural limitations. We should not be without the project's alternative effort in the overall perspective! All assistants are unpaid volunteers but, e.g. complex IT problems require professional attention. In case you would like to help, donations to Zenith IC NewScience can be submitted to account SWIFT-BIC: SYBKDK22 - IBAN no. DK9367350001056220 - We thank you so very much! Don't let this stop you reading,just go ahead with the many texts since they are first and foremost intended to be used, disseminated and kept. 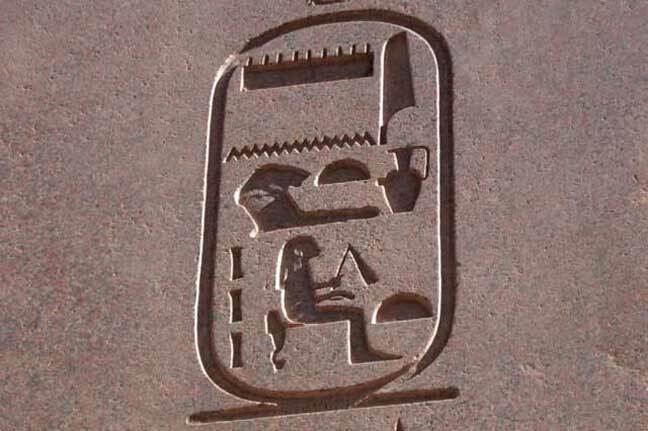 "Without these discoveries and necessary explorations we would today often lose important interconnection to valuable information and history ..."
You are most welcome to send comments or news about the contents: info@moses-egypt.net.